I didn't hate it that much, but admittedly it seemed a bit... off. As this is my first Garo series, I don't have much to compare it to, but for me the ending succeeded and fell short on a number of things. I don't mind Ryuga and Rian not kissing, but I wish they'd had a conversation or something. Also on nonexistent relationships, Jinga killing Amily didn't have the impact on me that I think it should've had. Maybe it was that neither villain conveyed much emotion previously, but I'm not even sure why Jinga killed her for Rian. Although I liked several of the fights between Ryuuga and Jinga, I felt like the final final final fight was a bit anticlimactic. Jinga had pushed Ryuuga so far I thought he'd start to become a Horror, but all that happened was that Ryuuga got really really angry. I felt like there should be some other consequence of his anger; in short, it seems like there were at least two episodes of character development during and after the episode that never happened. I rate it a 4; although it seemed lacking, it wasn't downright disappointing for me. There was a lot of over-the-top moments that still made it worthwhile for me. Anyone else hoping the next season in this world will be about Ryuuga trying to get rid of his Yami form? -first, the armor was tainted in black for a while before it got its gold brilliance back. 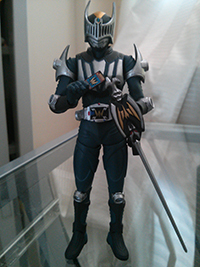 I don't think Kouga or any others Garo would have been able to unlock it because it was never in black at that time. -second, Ryuuga has to face his inner darkness/weakness and instead of defeating it, accepting it as being a part of himself. As said in Kyouryuuger, he can only become stronger by facing your weakness, or something like that (it was said by Tessai about Daigo). He unlocked it after having spend some time in the darkness mirror after all. He was very close to fall into the darkness if not for some encouraging words from Rian (that was send there by Jinga and Amily as a form of taunting). So I wouldn't say he didn't sacrificed something to get it. Beside, Amemiya probably went for the Gentle Darkness vs Evil Darkness thing for this, or something like that. Goldstorm left deep impression to me. The final fight between Jinga and Ryuuga was great. It showed difference sword style between them and full of emotion, especially for Ryuuga. I thought Ryuuga's tears and how he held Rian's hand was his answer for her heart. I like beautiful thing. The story was simple but had executed beautifully, so I'm happy and really love it. The original still the best series, but I prefer Ryuuga as character coz he is not perfect, unlike the Saejimas. And I hope I can see another city chapter with Ryuuga-Rian in the future. By the way, I didn't see Hakana's memento with Ryuuga. I saw Lago's but not Hakana's. Maybe they forgot put it on Ryuuga's coat? How could you forget your mother's memento??? And err.... was that Amemiya among citizen? 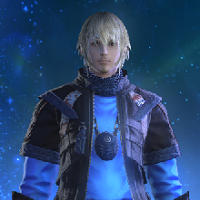 Or just random guy with Amemiya's outfit? As I mentioned over the past few threads. What got me was the constant string of failures in the finale arc. It's just too much. No progress was made until the end. And while I wouldn't exactly call the ending a deus ex machina, some very convenient things did happen to enable them to come out on top in the end. 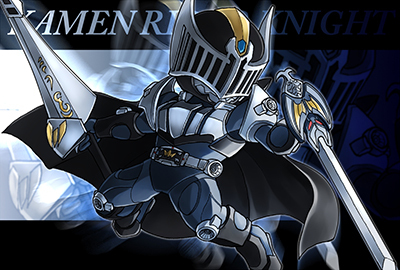 Sadly the other 2 makai knights did not return and I was hoping to see Sengoku Ryoma and Gokai Silver again xD. Onore Dikeido was a great villain but without a purpose and Amily was beautiful but meh on any other aspects. Mecha Garo was great and another original way to show the differences between the Garo Users and universes. I still need to watch the movie that is the prequel to this series and that is released I will have the chance to do it. abazigal wrote: I found it weird that Jinga was able to wield the Garoken. I thought the whole point was that only the one it recognises as Garo could wield it. No actually the deal with the swords of the various knights is they have variable weight and you have to have the ability to control soul metal or else they basically are stuck to the ground. Gonza once picked up the Garoken in the first series and started to hand it Kouga until the boss went, "YOU can use soul metal?" at which point Gonza realized what he was doing and the sword immediately clamped to the ground like a supermagnet was holding it. In Makai Senki at one point Zero is fighting a dude who's like a ghost samurai and he picks up his sword which makes Zero say "wait you could be a makai knight!" 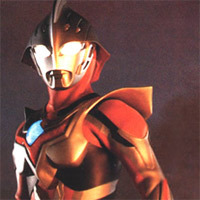 In the Yami storyline the Garo armor was corrupted and the sword went into a sort of sword in the stone dormant state. Once Ryuga was able to pull it out and later the armor was repaired during the later events of the show it would resume normal makai sword function. So yeah a former Makai knight would be able to still pick it up. Giant Mecha Spirit Garo is sweet. Everything else not so much, especially that asspull revival at the end.